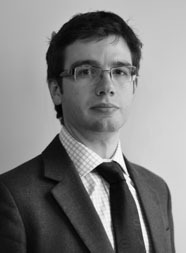 After obtaining a first class degree in law from Durham University and upon completing a twelve month pupillage at 4 King’s Bench Walk in 2001-02, Justyn accepted an offer of tenancy in October 2002. Having spent several years gaining experience in both civil and criminal law, his practice is now exclusively civil-based. Justyn’s civil work has a strong emphasis on personal injury litigation. He has considerable experience representing and advising Claimants and Defendants in Fast-Track and Multi-Track matters. He deals with all aspects of road traffic, employers’ liability and public liability cases. 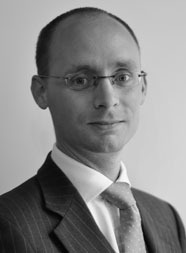 Justyn has also represented clients in Coroners’ Courts and the Administrative Court. Justyn has extensive experience of niche areas within Personal Injury litigation, including claims involving credit hire, allegations of fraud, and costs. Justyn prides himself on a personable and collaborative approach to litigation and his ability to build a rapport with clients and solicitors. In appropriate cases, Justyn is happy to accept instructions on a Conditional Fee Agreement basis. Justyn is a keen climber, both indoors and out. He also enjoys skiing, golf and good food and wine. He considers himself to be something of a car-buff and takes any opportunity to enjoy all things automotive. Trayling v. Addison Lee and others: Acted for Claimant (initially alone; subsequently led by Andrew Ritchie QC) in serious leg injury claim involving legal argument over insurance law. Fielding v. MIB: Represented Claimant in a below-knee amputation claim. Successfully settled post-issue. Hopper v. Knowle: Acted for Defendant in a substantial workplace claim involving alleged exaggeration and surveillance evidence. Settled at JSM. Ram and Others: Represented one of eight Claimants involved in an alleged fraud ring. Claimant was successful. Savage v. Sharp: Represented Claimant in complex chronic pain claim. Six figure settlement at JSM.